We’ve always been known as a great sporting nation – a country that glows with health and vitality. But lately, things have changed. 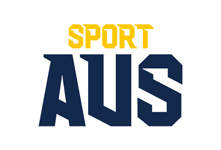 "Sport participation by Australians is becoming increasingly passive. Australians need to put down the remote control and mobile devices and head outdoors for a half-hour walk." We want every Australian adult to commit to at least 30 minutes of activity each day. And it’s not just Sport Australia – the Department of Health says adults aged 18-64 should accumulate 2.5 to 5 hours of moderate intensity physical activity or 1.25 to 2.5 hours of vigorous activity each week. Children should accumulate at least 60 minutes of moderate to vigorous intensity physical activity every day. This is backed up by advice from the Heart Foundation, Betterhealth, the Australian Medical Association and more. Find Your 30 is all about finding practical ways in which anyone can work half an hour of activity into their day. There are simple solutions, like walking the extra block to work, taking the stairs instead of the elevator, and getting the whole family active together. You don’t have to climb a mountain, join a gym or wear Lycra. You just have to get up, get moving and give your health and happiness a fighting chance. Walking, running, fitness classes or maybe one of the many videos that exist on media channels like YouTube are all easy methods to give yourself a routine that will provide you with satisfying mental and physical activities to enable you to reach your 30. Use your work day routine of getting to and from work as another way to make your goal of 30 minutes a reality. The times in your day whilst at work - over lunch, walking meetings, or create an ‘activity’ in your travel time. For example if you are a public transport user, would getting ‘on’ or ‘off’ earlier than your stop give you the 30 minutes daily you need? Or if you drive, park a little further from your place of work and use this to walk that extra and ‘find your 30’. So many ways to find activities with friends, your kids or meet others to play games. Olympian, Mum and Ambassador. Libby talks to the importance of health and physical fitness and how you can find 30 minutes of exercise into your day as part of the Sport Australia Move It Aus campaign. Exercise training can increase brain size and improve memory - reducing the risk of dementia. Physical activity strengthens your heart and improves lung function – reducing your risk of coronary heart disease and heart attack. Regular physical activity reduces the risk of depression and has a range of benefits for mental health. Physical activity increases bone mineral density – important for bone strength; reducing risk of fractures and osteoporosis. Organised physical activity creates opportunities for meeting new people and socialising. Physical activity, as a form of active transport, reduces our carbon foot print.